Tech’s men’s golf team is coming off a rocky season that saw it finish fourth in the ACC Tournament and tied for seventh in the NCAA Regional tournament, failing to qualify for the NCAA Tournament, missing match play for just the third time since its inception in 2009. It was Tech’s worst season in years, particularly after a golden stretch that saw the team place in Golfstat’s top 10 for three consecutive seasons, courtesy of ramblinwreck.com. But Coach Bruce Heppler and his staff refuse to linger on the sour taste of last season, focusing instead on the influx of new talent for this season. With four freshmen added to the 2016–17 roster, Coach Heppler has the team looking to make a splash this fall. Tech returns six lettermen from last year’s team, all of whom must contribute at a high level in order to return the Jackets to NCAA golf prominence. “A lot of our players gained valuable experience last year and the returners should be prepared to produce better results,” Coach Heppler explained in an email interview with the Technique. Returning players James Clark, Michael Hines, Jacob Joiner, Chris Petefish and Vincent Whaley all bring valuable ACC Tournament and NCAA Tournament experience and will be expected to carry the team to success throughout the season. Heppler added that the team is relying on an infusion of young blood on the team — the additions of freshmen Andy Ogletree, Luke Schniederjans, Anton Serafini and Tyler Strafaci — to bolster competition at home qualifiers and add depth to the roster. He emphasized that competing at home against the established older players would provide the youngsters ample opportunity to prove and refine their skills. These intrasquad qualifiers will pay big dividends for Tech, as playing better golf during qualification will allow these freshmen to gain valuable experience against other great golfers on the team and turn in better results when they participate in the team’s big tournaments. Schniederjans, in particular, comes from a notable lineage. His brother, Ollie, was one of the most decorated golfers in Tech history. At one point, he ranked as the No. 1 amateur player in the world, courtesy of ramblinwreck.com. In the 2013–14 season, he was awarded the Bobby Dodd Scholarship, an honor recognizing him as the best male student-athlete across all Tech sports. The younger Schniederjans has an impressive resume of his own right. Ranked the No. 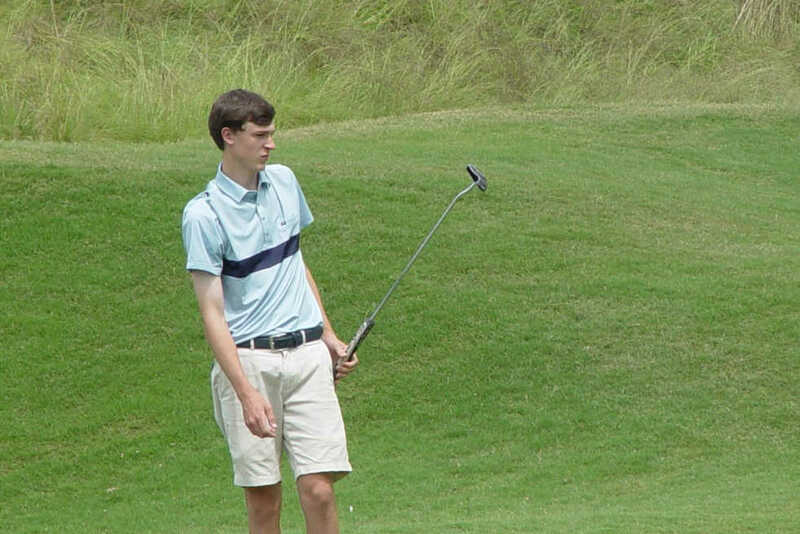 51 prospect in his class, he joins three other members of the recruiting haul, including two ranked in the top 15 nationally by Junior Golf Scoreboard: Andy Ogletree at No. 11 and Tyler Strafaci at No. 6. Strafaci, too, carries on golf as a family tradition. The Florida native’s grandfather won national amateur golf titles and once competed alongside legendary sportsman Arnold Palmer, courtesy of USGA.com. Ogletree’s decision to join Tech was not recent. He committed to the then No. 2 Jackets in 2013, courtesy of meridianstar.com. The 42nd-ranked Jackets begin the road to a 17th ACC Championship and 29th NCAA Tournament appearance in Rocky Face, Ga. at the Carpet Capital Collegiate on Sep. 9–11. They will play three more tournaments in the fall before taking a break for winter: the Maui Jim Invitational in Scottsdale, Az. (Sept. 23–25), Golf Club of Georgia Collegiate held in nearby Alpharetta, Ga. (Oct. 21–23), and the Cypress Point Class in Pebble Beach, Ca. (Oct. 31–Nov. 1). With a roster loaded with young talent, Coach Heppler looks to have the Jackets make a serious run at the national championship this spring, but it all begins with these crucial and formative fall tournaments.